Click and Tag is available for Labels and Tags. The interface does not come out of the box though. You have to create it within the Catalog. Open the Catalog (Ctrl+F8) and right-click any category or item. From the context menu select "Insert as New Category Here | Click and Tag: Labels" or "Insert as New Category Here | Click and Tag: Tags". The new category will contain all Labels/Tags defined in your tags database. The category items can be used for tagging now: Simply click them to label or tag all currently selected list items. Some Custom Toolbar Button in action. Flat Look. 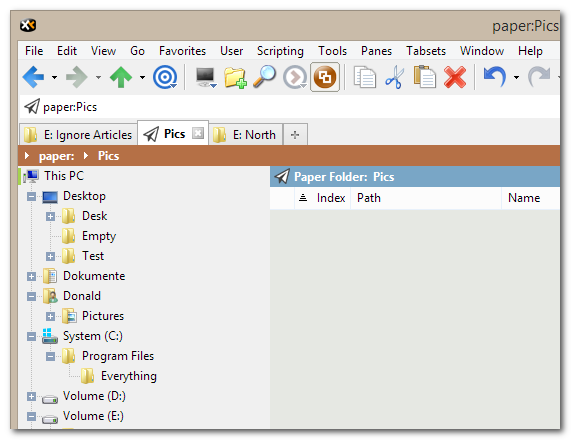 Under Windows 8 the default UI got a fresh flat look. Fully optional and configurable, of course. The Breadcrumbs Bar is flat by default (configurable via the bar's context menu). The main controls (Tree, List, Catalog) have no border lines anymore (configurable via Configuration | Styles | Borders). The Tab Bar's empty space it flat (configurable via tweak TabFlatBack). In dropdown boxes the unhovered dropdown arrow buttons now are drawn without background or borders (only under Win 8 and later). 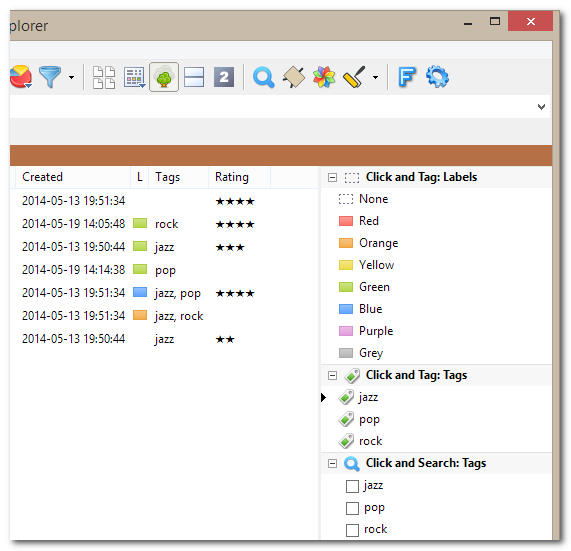 XYplorer 14.40.0100 has been released on 28-Aug-2014. It just has some minor bug fixes and enhancements. Tree Expansion Icon. Now you can choose between several styles. Some of them are easier to distinguish than the classic plus/minus symbol, so there a potential gain in accessibility here. 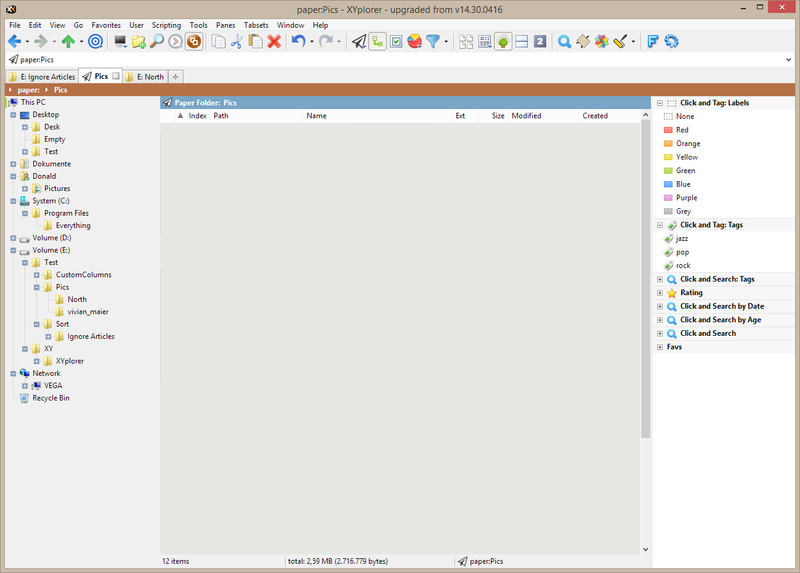 XYplorer 14.40.0300 has been released on 03-Sep-2014. It just has some minor bug fixes and enhancements.